It was only his fourth day on the job and already he’s breaking the law. New York City Mayor Bill De Blasio was filmed shoveling his sidewalk this week. He was shoveling his walk and throwing the snow in the street. He also was breaking the law. 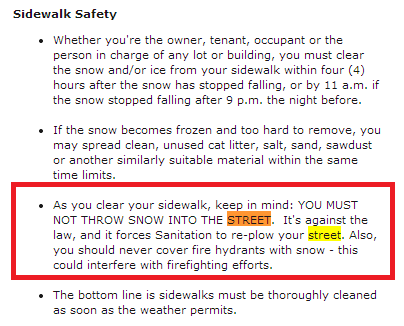 It is illegal to throw your snow in the street in New York City.